Madrid – The Museo del Prado is celebrating the publication of the general catalogue of its collection of nineteenth-century painting edited by José Luis Díez and Ana Gutiérrez and the bicentenary of the birth of Federico de Madrazo with a monographic exhibition on this painter. 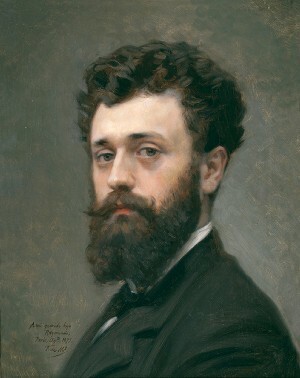 Madrazo was one of the most influential men on the Spanish art scene of the time owing to both the quality of his painting and his status as director of the Museo del Prado and the San Fernando Academy of Fine Arts and master to many of the most significant Spanish painters of the following generations. Federico de Madrazo was the Spanish painter of his day who produced the largest number of artists’ portraits, of which the Prado houses a superb collection including oil paintings, drawings and lithographs. Conscious of their value, the artist bequeathed to the museum a large group of drawn portraits of artists and writers, in the manner of a sort of Album amicorum. This entry was posted in Arts / LifeStyle / Travel and tagged Madrazo, Madrid, museo del Prado. Bookmark the permalink.